Located at 5 S Flagler Ave, Homestead, FL 33030, the historic Hotel Redland is the oldest building in Homestead, Florida. The property was built in 1904 by W.D. Horne. Then named the Homestead Inn, it functioned as a rooming house, supply store, then later as a post office. On the night of November 10, 1913, a fire started in the attic and severely damaged the building. It is rumored that several guests died that night while still asleep in their beds. Nine days later, it was announced that a new hotel would be built on the same property. 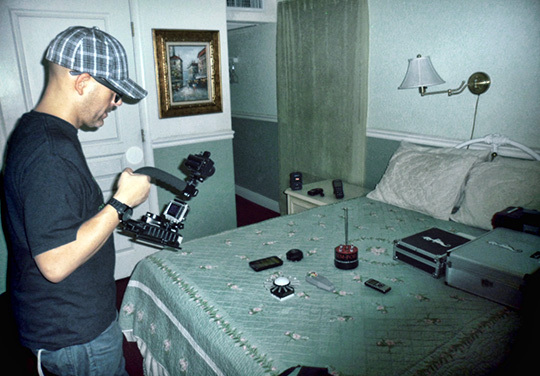 On August 24, 2016, David Pierce Rodriguez, from PRISM Paranormal Research South Florida and Tim Arnwine, from Haunted South Florida, conducted a paranormal investigation of the Hotel Redland in Homestead, Florida. Many Electronic Voice Phenomena (EVP) audio clips were recorded during the investigation of the hotel. Equipment used during the investigation includes, Panasonic RR-DR60 digital audio recorder, REM-POD, Rook EMF meter, Tri-axis EMF meter, Cell Sensor EMF meter, Digital Dowsing Ovilus III ITC Research Device, Digital Dowsing Paranormal Puck 2, Paranologies 360 Parascope, EDI Meter, and both full-spectrum and infrared video cameras.